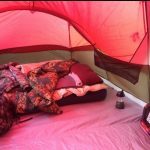 Now that you figured out where you will be camping (in my first post) let’s talk about your shelter, sleeping situation and comfort. Of course you could just lay a blanket on the ground and call it a day, but you probably want to be a bit more proactive and explore all options. This is in most cases a tent. There are many types and sizes of tents to choose from. The general rule is that you want it be spaceous enough so you’re comfortable. The tent label usually tells you the capacity of the tent, for example how many persons it is for. That number must mean as if they laid next to each other like sardine. So normally I divide that by half. 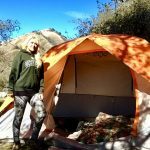 My first tent was a $25 two-three person tent. This means it was really just comfortable for me and my dog. When I brought my daughter and the dog, it was pretty tight. So instead 2-3 people, it’s really 1.5. My favorite tent I use is a 6 person tent. It is perfect for me and my dog. and it was still very nice for me and another person and the dog. If it were to rain, I could bring in my camp stove, cook and eat comfortably. 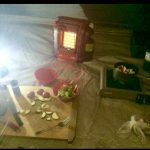 (The picture to the left shows how one day when t was raining outside I was able to have my heater on, with cutting board out and1 burner campstove to make my lunch) I also feel comfortable with my propane heater in this tent. 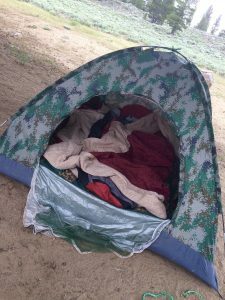 You need some space between the heater and you, and the heater and the tent wall, and in the smaller tent this couldn’t happen. Instead of 6 people, its more suitable for 3. There are tents that in theory house up to 10 people, these are perfect for families, as you have little rooms in there made by dividers. Of course, to have 10 people in that tent you will still just need to lay your sleeping bags next to each other like sardines. But it’s really comfortable for 5-6 people. I have one of these, it was a steal at $100 so I bought it. This makes it comfortable when I take my daughter and our 2 German shepherds. If the weather turned really bad, I could even put a full size table and chair in there, cook and eat. This tent proved very good during hunting season as we had a lot more equipment with us. The picture to the right shows my side of the tent (my “room”). The good news is, that regardless the size, almost all tents are fairly to easy to set up, even by yourself, and should last a long time. So go to sporting goods stores, look online, do your research and buy the best one that would suit you. I usually compare square footage and prices but I also enjoy looking at the different designs. Of course you can camp out under the stars in your sleeping bag, and I’ve done it a few times, and although I loved it at the time, I don’t prefer it. 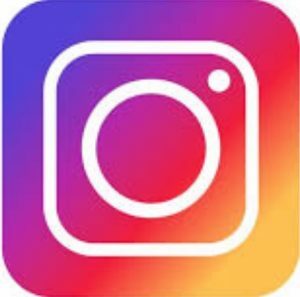 You still need privacy to change your clothes, and you probably want to make sure you won’t have bugs crawling on you, mosquitoes buzzing around, etc. Another reason you might not need a tent is because you’re sleeping in a hammock. 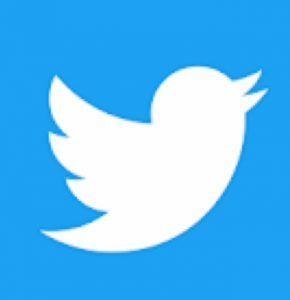 While we’re on the subject of shelters, let’s talk about how you’re going to sleep. 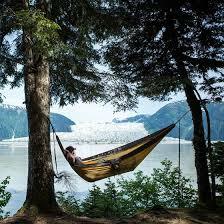 Hammock – the hammock is tied to 2 trees. So the downside is that you have to find an area that will accommodate this. You will be sleeping suspended up in the air, you might or might not prefer this. The upside is that you shouldn’t be as old as if you were sleeping on the ground, and I’m sure it must feel pretty nice to be sleeping on air. I say I’m sure, because I never tried this. To me it doesn’t seem like something I’d enjoy because I always toss and turn in my sleep. Cot – a cot is a good choice, because, again, you are not directly on the ground. The downside for me is that it’s too narrow, I actually like a queen size bed to sleep on. The upside is that cots are durable and will last a long time, fold up easily and you stay warmer. Sleeping bags: There is a huge range of price and quality of sleeping bags. Down sleeping bags are the best, obviously the most expensive, but worth it. They pack up very nicely, almost no weight, so it’s great for backpackers. They will really keep you warm at night. I myself have accumulated a few very basic sleeping bags. I now take 1-2 blankets and a pillow. Waking up comfortable and well rested is priceless. I ould say ot’s best to spend some money and invest in one very good sleeping bag. Foam pad: I bought one, and my honest opinion, it didn’t do much. Your main concern is the make sure your body heat is not “stolen” by the ground, you need something in between as insulation. I used to wake up at 5 am shivering, it took that long for my body heat to transfer to the ground, thus leaving me cold. Mattress: this was a game changer for me. An air mattress is going to be between $15-25 at Walmart. I have a queen size, and it was under $20. It’s comfortable, soft, and you stay warm. Don’t forget the pump for the mattress! You can buy inexpensive foot pumps, they work very well, maybe even better than the electric ones. Don’t forget the pump ! There are manual, inexpensive pumps and they work even better than electric ones. Heater: this can be a little pricey, and of course not a must, but it is a one time purchase. 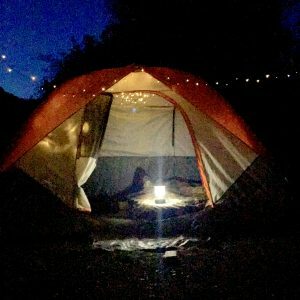 I camped without a heater for a year, just about every weekend. I had 4-5 layers of clothes on. But once I bought my heater, everything got better. Once I went up to higher elevation, the nights were much colder, so now I would never go without a heater, even in the summer. I used to use those little green bottles of propane, but realized how much they cost for 2 nights, going on all night, so after a while I upgraded to that huge can you can refill up to $14-17 and lasts so much longer. Optional: air mattress (with air pump), or foam pad, blanket, pillow, heater. What do I do? Tent, air mattress, sleeping bag (I open it up as a blanket), 1-2 blankets depending on the weather, pillow and a heater. Leave a comment with your favorite way to camp! 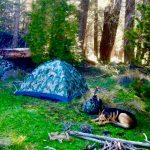 This entry was posted in Camping 101 (7) and tagged camping, camping comfort, camping for beginners, camping tips, cot, hammock, mattress, sleeping bag, sleeping in a tent, tent on March 3, 2018 by Marianna.